The Supreme Court was hearing a petition by a non-profit, Shakti Vahini, which has asked for a ban on such crimes and on "khap panchayats" or self-appointed village courts in parts of north India, especially Haryana, which act like a law unto themselves and "punish" couples who marry against their families' wishes. 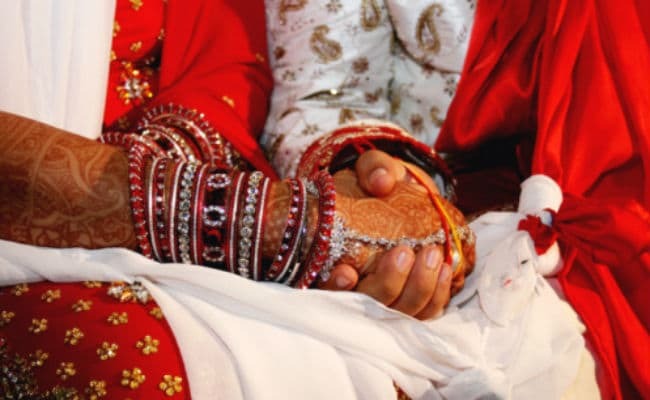 A petition asked for ban on family killings over "dishonour"
Hearing a request to ban family killings over "dishonour", Chief Justice of India Dipak Misra today said when two adults marry, no one has the right to interfere. "Whether it is parents, society or anyone, they are out of it. No one, either individual or collective, or group, has the right to interfere with the marriage," said the Chief Justice. The Supreme Court was speaking on a petition by non-profit Shakti Vahini, which has asked for a ban on such crimes and on "khap panchayats" or self-appointed village courts in parts of north India, especially Haryana, which believe it is their duty to protect medieval-era traditions and act like a law unto themselves while "punishing" couples who marry against their families' wishes. A lawyer representing Khap Panchayats told the Supreme Court that they are against such killings. "We are not concerned with the Khap Panchayat. We are only concerned with the rights of a couple to get married. Whether marriage is good or bad or is it advisable, we are out of it," the court said. The Supreme Court hearing coincides with shock in Delhi over the killing of a 23-year-old Hindu man by the family of his Muslim girlfriend; Ankit Saxena was attacked on a road near his home in west Delhi and stabbed to death. The murder was raised before the judges, but the Chief Justice said immediately, "Do not get into it. That case is not before us."